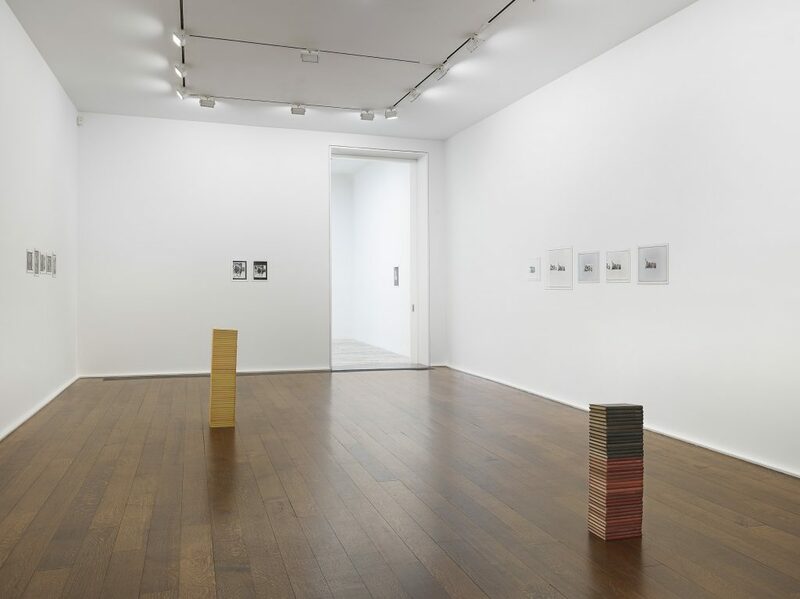 With the work on view at Hauser & Wirth, Leonard draws a connection between the social upheaval of the postwar years and the rise of photography as a popular medium. 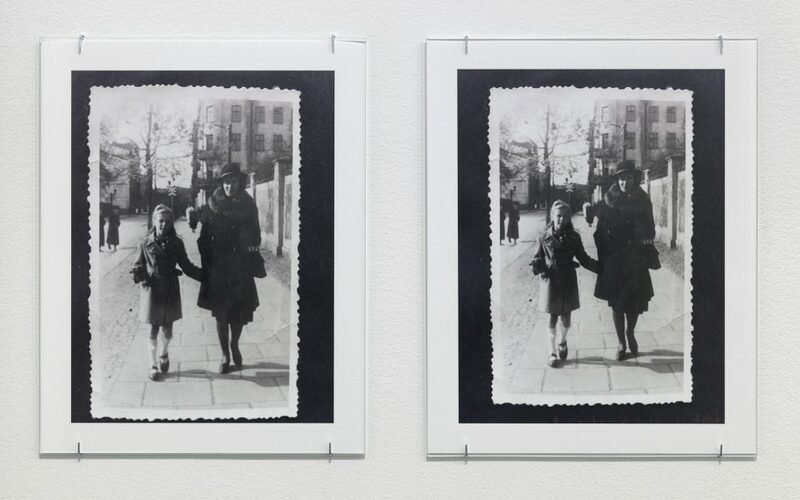 The family snapshot can be understood as a form of self-representation and a mode of describing and sharing lived experience, an alternative to official representations of history. 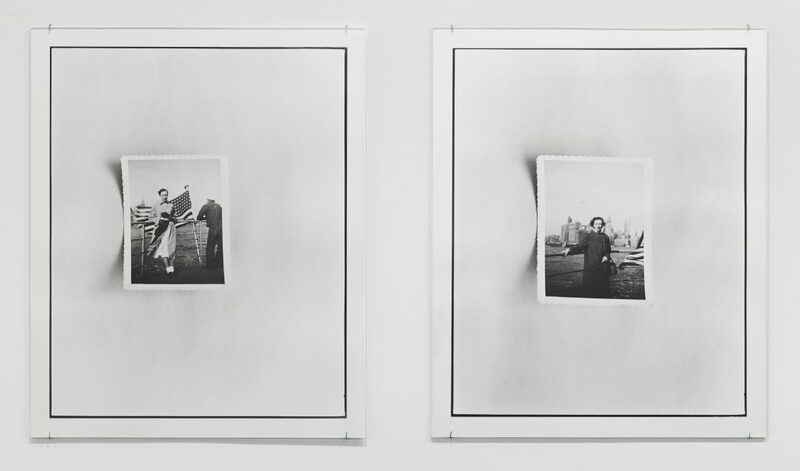 Leonard photographs these snapshots not only as images, but as objects – paper curled, surfaces shiny, and edges scalloped, cracked, or cut – in a way that pushes imagery to the edge of legibility and calls into question the idea of faithful reproduction or representation. alienated state of mind that is passed down. The works in this series have resonance today. ‘We live in a country primarily of immigrants, and that informs who we are,’ Leonard has said. ‘While each of us has a different relationship to that fact, and a different family narrative, this experience figures deeply in our collective background.’ Thus the work on view at Hauser & Wirth elicits questions: How do new arrivals translate past experiences and make a life in a new country? What constitutes citizenship, or belonging? What does it mean for a country to allow or deny access, selecting who can or cannot enter? How might official policies in turn give rise to xenophobia, racism, or a sense of division? Leonard invites us to consider how personhood is defined, negotiated, and legislated. 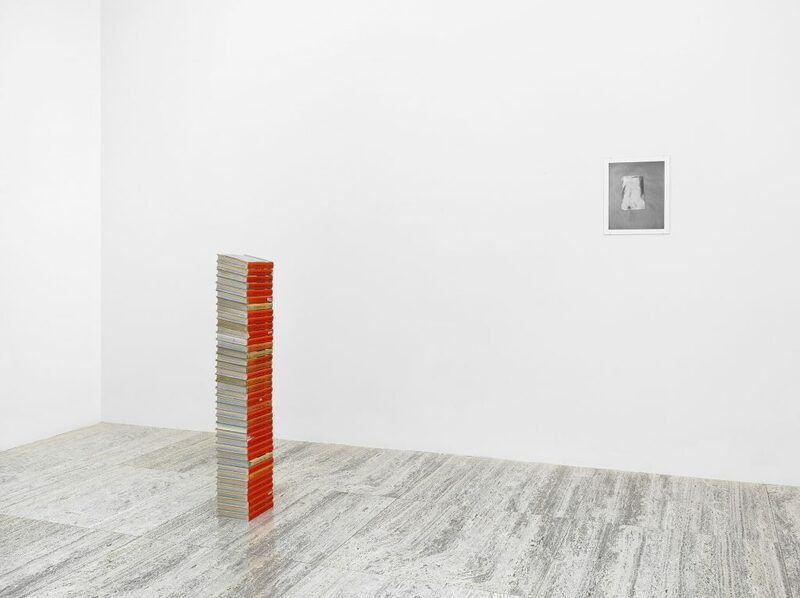 Also on view on the first two floors of the gallery will be a group of new sculptures comprised of stacks of vintage photography manuals. 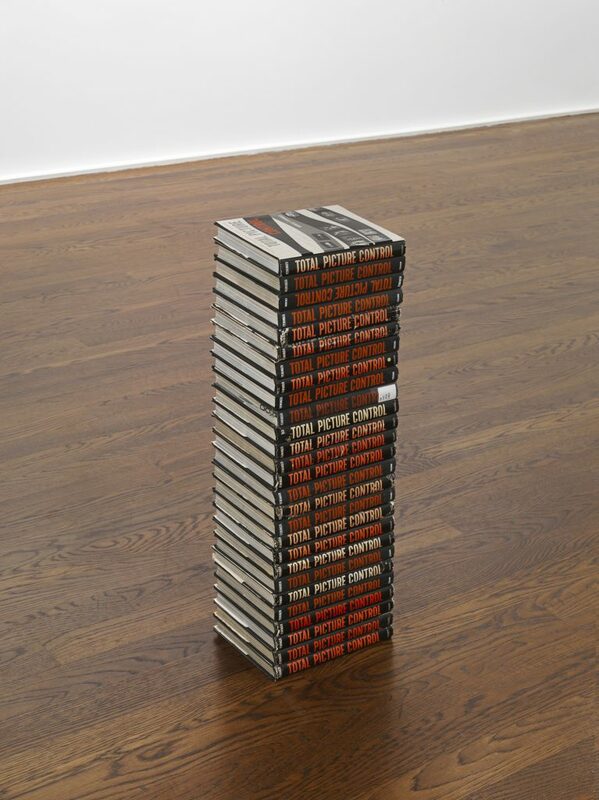 Each stack consists of repeated copies of the same book. Such titles as ‘How To Take Good Pictures’ and ‘Total Picture Control’, suggest that there is only one correct way to frame a photo, and by extension imply that there is a correct way to frame one’s life and family history. Written for an audience of non-professional photographers, these books place the viewer in the role of the photographer. That shift in subject position – from looking at photographs on the wall, to being addressed as photographers – reminds us that we are all engaged in a critical form of self-representation. 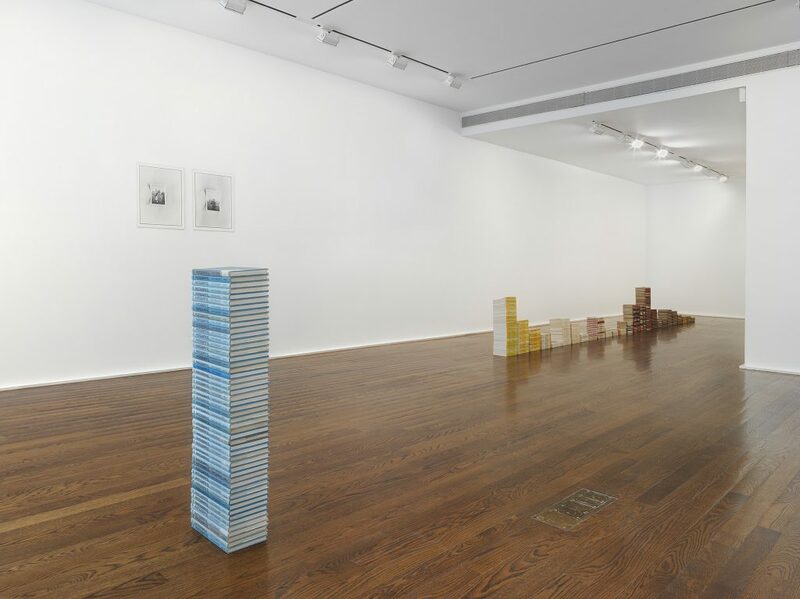 Taken together, Leonard’s new photographic works and sculptures invite us to contemplate the role photography plays in constructing history, and to consider the roots of contemporary photographic culture. ‘In the Wake’ concludes on the gallery’s third floor, where Leonard moves into the present with a series of photographs shot from her window in New York City, bringing our attention to the here and now. Training her camera on pigeons roosting and circling above neighboring roofs, Leonard’s photographs engage daily life in an urban setting. 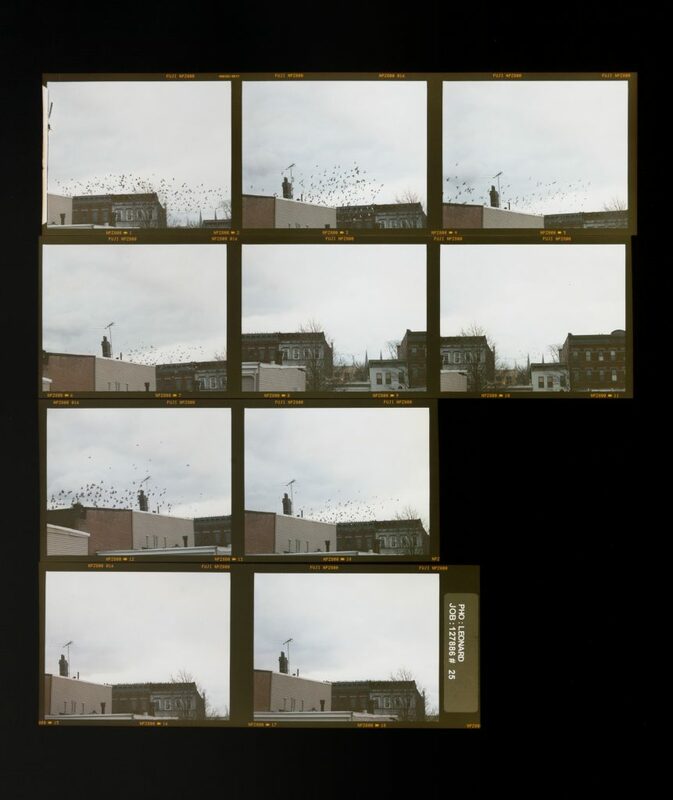 The birds, neither wild nor completely domesticated, circle in a logic of their own while the photographs track the artist’s process of observation, an intersection of activities. 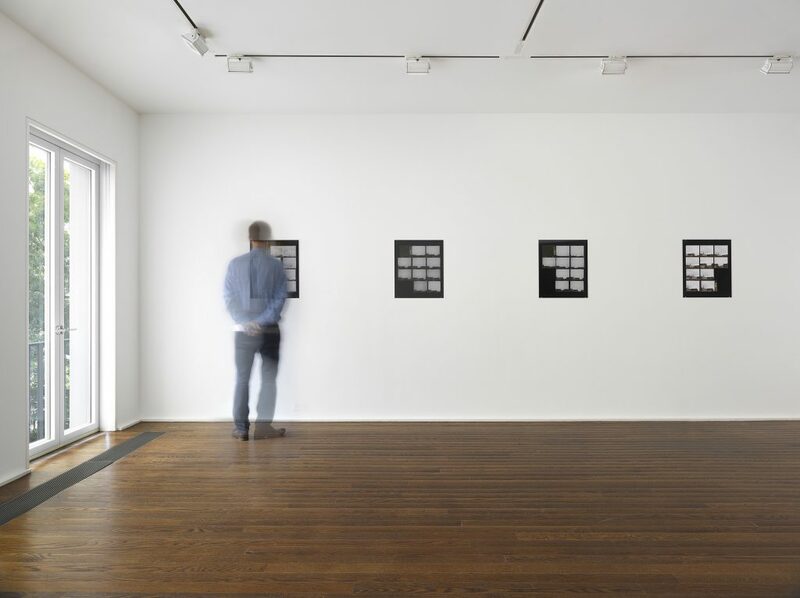 These works employ signature strategies of repetition and variation; printed as enlarged contact sheets, all the frames on each roll of film are presented at once, forming a multiple image with a shifting point of view. 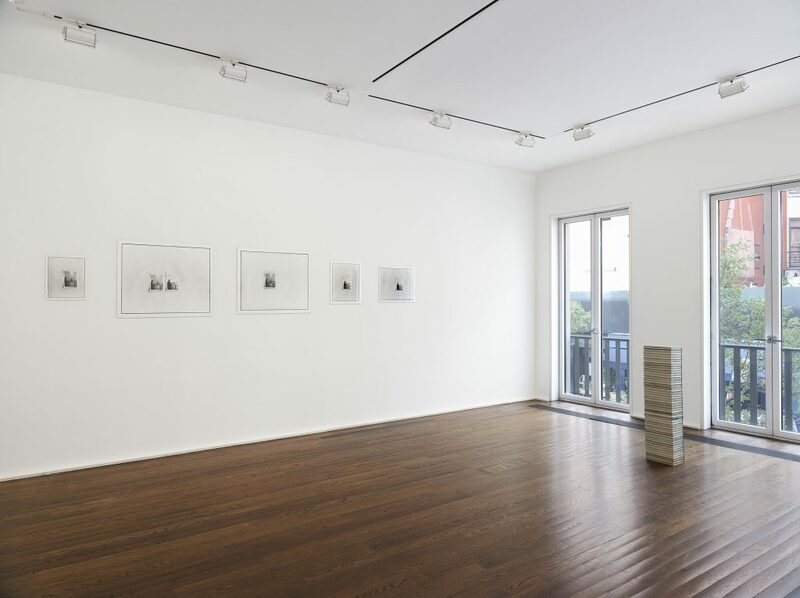 The prints draw attention to the act of looking itself – to observation as a complex, ongoing process. 53 3.4 x 43.5 cm each / 21 x 17 1/8 in each.